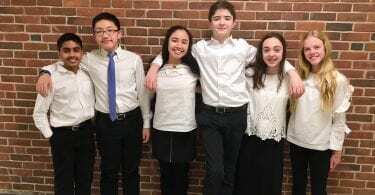 In response to a request from West Hartford Town Council member Chris Williams, Corporation Counsel Patrick Alair issued a memo Tuesday indicating that the Board of Education had the legal authority to rename Columbus Day on the school calendar it adopted for for 2019-20. 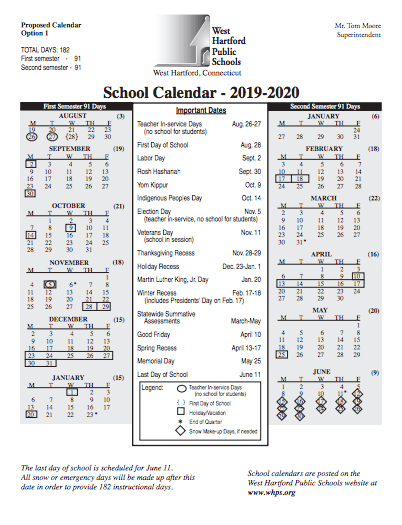 West Hartford Corporation Counsel Patrick Alair conducted a review of the Board of Education’s adoption of a school calendar for 2019-20 which labels Oct. 14, 2019 as “Indigenous Peoples Day” rather than Columbus Day, and in a 16-page memo to the Town Council released Tuesday night, said that the Board was within its legal authority to make the change in the holiday name. “I respect the corporation counsel, but I happen to disagree with him on this issue,” Republican Town Council member Chris Williams said Tuesday night in a phone interview. “I’m going to talk to my colleagues about a resolution reaffirming Columbus Day in accordance with state statute,” Williams added. Williams had engaged in a discussion with Alair and Town Manager Matt Hart at the March 27 Town Council meeting, and he and Minority Leader Chris Barnes noted that they had received “commentary and outreach” from the community questioning the Board’s authority to change a holiday. Williams maintained that the Board “changed a holiday,” and said during the March 27 Council meeting that it was his opinion that the move was a “policy decision that is of material consequence to this town,” while Alair said that all they did was change the name of a legal State holiday on one document, which they had the right to do but which at the same time has no legal significance on the observance of that holiday by the town or anyone else. At that meeting and in a follow-up letter emailed the next day, Williams requested that Alair determine the legality of the change. 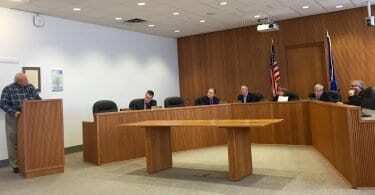 The Board of Education’s action, taken when the 2019-20 academic year calendar was approved in a 5-2 vote along party lines on March 20, 2018, after a second reading, sparked discussion among residents, many of whom took to social media to express strong opinions for and against the decision. When the Board of Education had its first reading of the calendar, at its meeting on Feb. 21, 2018, the idea of re-labeling Columbus Day as Indigenous Peoples Day was first raised publicly. Five residents spoke at that meeting in support of the change, noting that Columbus, whose brutality against indigenous people is now widely known, should not be celebrated. But in response to comments by several Board members that there had not been enough outcry from the public about changing the name of the holiday, input was requested. Board of Education student representatives Grace Andrews and Maddy Pliskin created a petition through change.org, and shared it on Facebook as well. The petition received 660 signatures in favor of changing the name of the holiday to Indigenous Peoples Day, Andrews and Pliskin reported to the Board, and the posting of the petition on the Facebook group “Neighbors and Friends in West Hartford” garnered more than 350 comments representing a variety of opinions. “Before the vote we investigated whether it was legal, we learned it was, and we told the Council we were discussing it,” Board of Education Chair Cheryl Greenberg said Tuesday night. She said that she was gratified to learn Tuesday that Alair’s memo reaffirmed their original finding. In the memo, Alair also addressed the issue of holding school on the second Monday of October, a possibility also raised by the Board of Education. “It is my interpretation of General Statutes §1-4 that an educational program in observance of the legal holiday – Columbus Day – would be required,” Alair wrote.